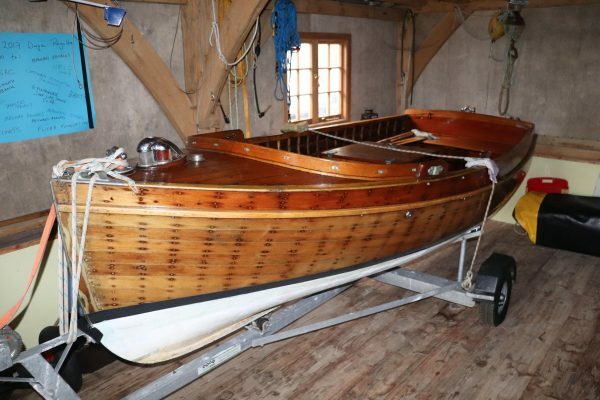 Believed to have been built pre-war by Camper and Nicholson, she does indeed have the appearance of a C&N boat and certainly has the quality of workmanship that is expected of that yard. 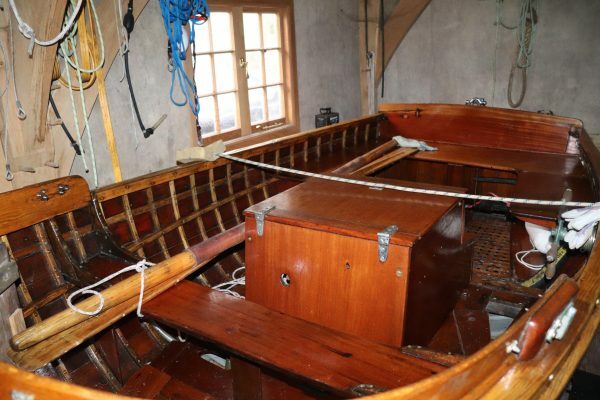 She spent time with the Royal London Yacht Club and subsequently many years in Cowes owned by the Port Officer for the Ocean Cruising Club. 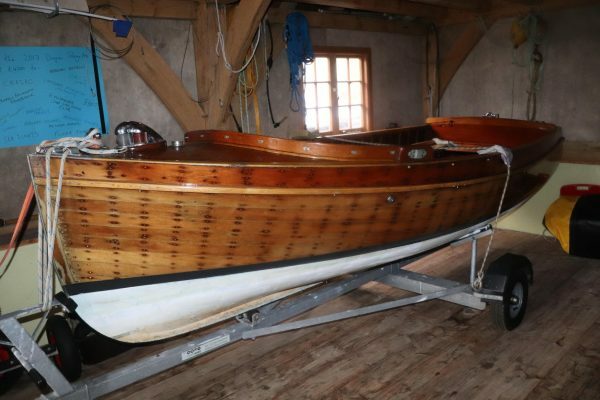 Bought by the present owner in 2013 and then professionally refitted, the hull was stripped inside and out, frames replaced as necessary and the outside of the hull sheathed in a very thin cloth to stabilise the timber. 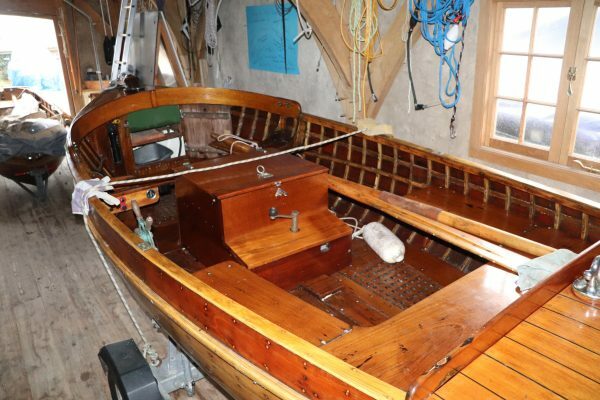 She is now a very smart and well presented launch in very nice condition. 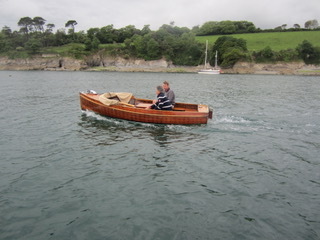 Launches of this size are unusual and highly sought after, large enough to carry several people in comfort and safety but small enough to be launched by one person and easy to handle. 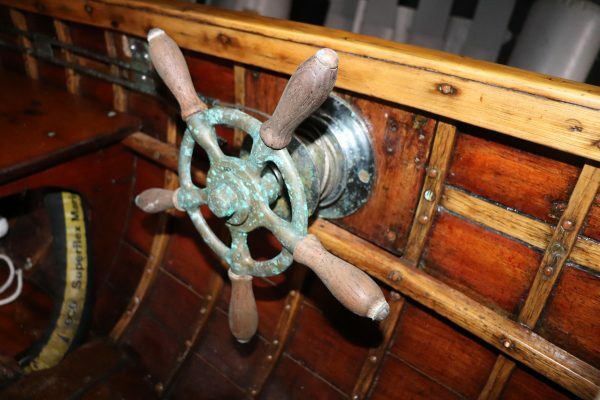 This boat is lavished with original fittings and features, lots of chromed bronze deck fittings have survived the years including a delightful port and starboard navigation light on the bow. A complete package with a new road trailer, all in lovely condition and ready for the summer. Tight seamed carvel planked in top quality mahogany, probably a Brazilian or Honduras mahogany. 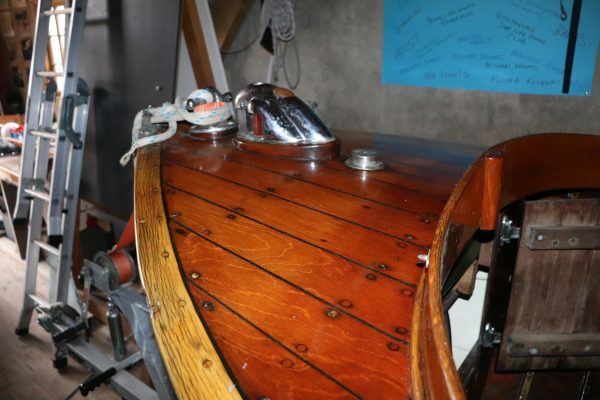 Copper rivet fastened to closely spaced delicate steamed oak timbers. 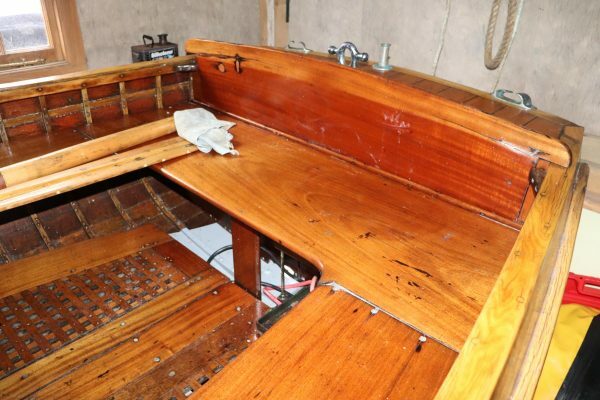 The outside of the hull was stripped to bare wood and sheathed in a very light epoxy glass cloth to stabilise the hull and give it a permanent glossy finish. Finished over the sheathing in 2 pack varnish. 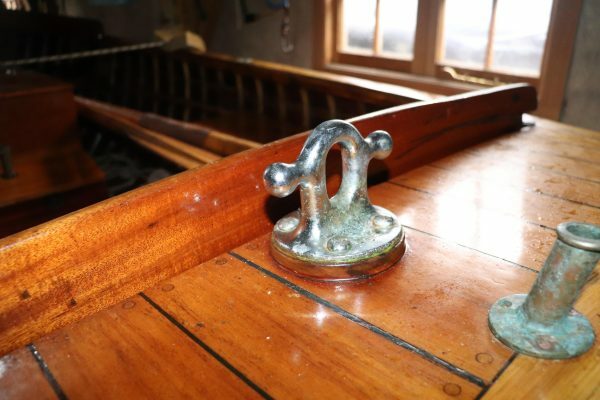 Straight laid teak fore and aft decks, varnished, with a varnished mahogany coaming around. Grating style varnished teak sole boards, raised forward of the engine box. 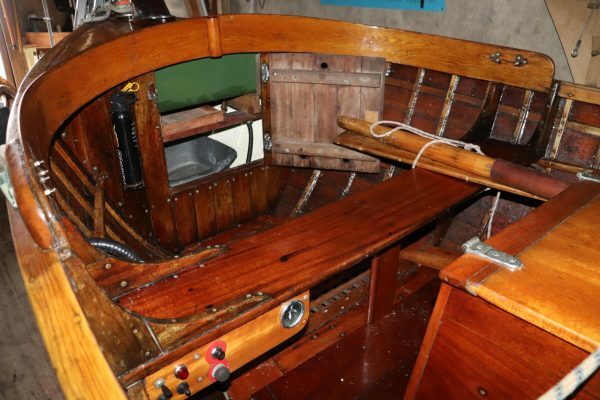 Varnished teak thwarts with U-shaped seating around the aft end and a bench thwart forward of the engine box. 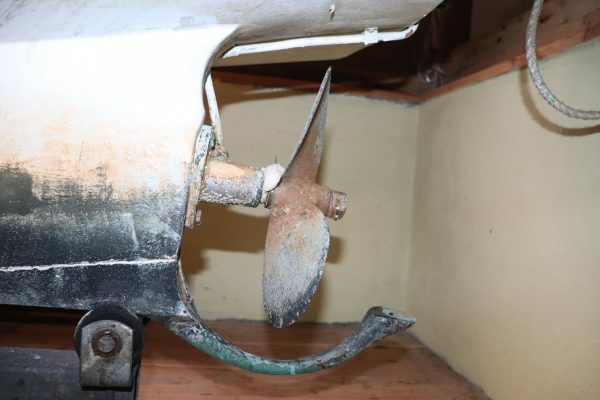 Transom hung rudder connected with cables to the original bronze wheel mounted on the port gunnel. 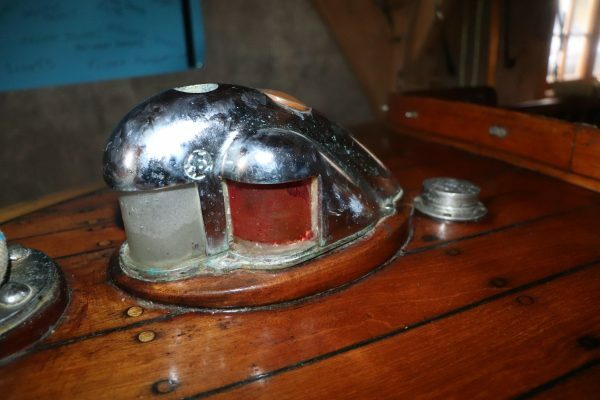 Lots of original chromed bronze fittings including navigation lights and deck fittings. Spray hood over the forward end with a laminated wooden frame and chromed bronze fittings. 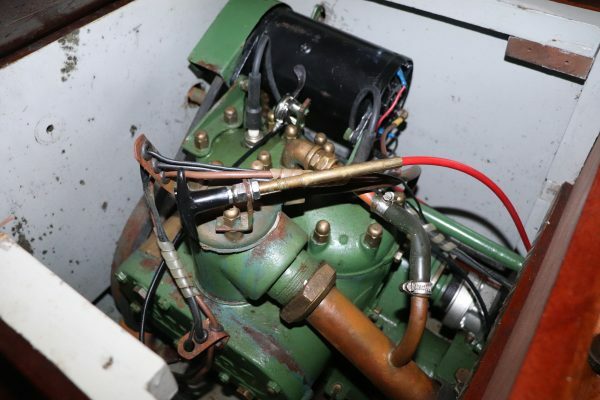 Stuart Turner 4.5hp twin cylinder sea water cooled petrol engine fitted in a varnished mahogany engine box. Bronze shaft to a centreline fixed 3 blade bronze propeller gives 5 knots. 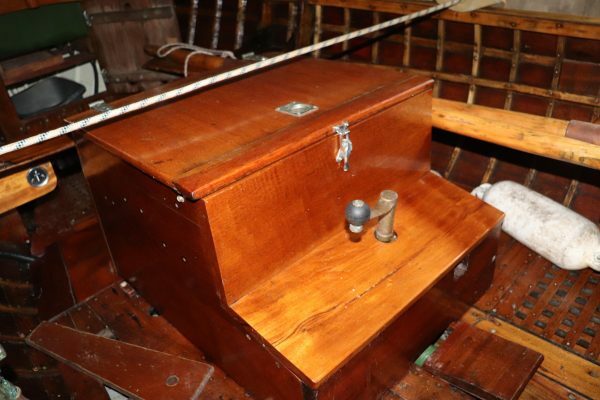 Engine controls mounted on the port side next to the helm position. Electric start with a dynastart system and a single 12 volt battery. Hand start option.